Mohammed Reza Pahlavi, the Shah of Iran, departed Iran on January 16, 1979, fleeing political unrest led by the Ayatollah Khomeini and seeking medical treatment for lymphoma. Pahlavi first flew to Aswan, Egypt, where Anwar Sadat welcomed him, and would spend the next ten months moving among Morocco, Mexico, the Bahamas and Panama while requesting permission to enter the United States for surgery. 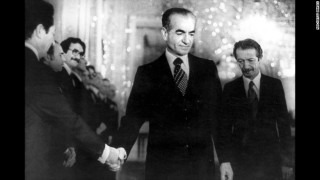 The Carter Administration hesitated, recognizing potential consequences for U.S. interests in Iran if Pahlavi were welcomed into the country. At the same time, many in the United States, notably former Secretary of State Henry Kissinger and Chase Bank Chairman David Rockefeller, agitated for the Shah’s entry, arguing it was reprehensible not to let him in for medical treatment. 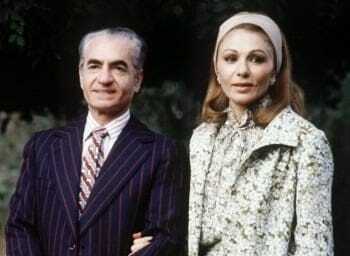 Pahlavi was admitted to the U.S. on October 29 and underwent treatment at the Cornell Medical Center. During his stay, anti-American sentiment grew in Iran, concluding in the storming of the U.S. Embassy in Tehran on November 4, 1979. The Shah returned to Egypt under Sadat’s protection, spending his last year undergoing medical treatment and composing his memoirs. He died July 27, 1980, and was given a state funeral. Ambassador Victor L. Tomseth, then a Political Officer in Tehran, observed Kissinger and Rockefeller’s lobbying for the Shah. He was interviewed by Charles Stuart Kennedy on May 13, 1999. 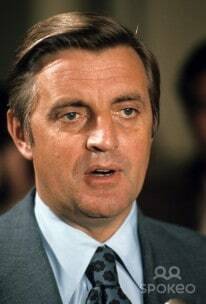 Walter Mondale, Vice President of the United States from 1977 to 1981, recounts the debate within the Carter Administration about the potential fallout from allowing the Shah into the country. Mondale was interviewed by David E. Reuther on April 27, 2007. Henry Precht, the Iran Desk Officer from 1978 to 1981, and Bruce Laingen, Chargé d’Affaires in Tehran from 1979 to 1980, recount the growing anger in Iran, and concerns the embassy could be overrun. Precht and Laingen were interviewed by Charles Stuart Kennedy on May 8, 2000 and January 9, 1993, respectively. Ambassador Atherton was interviewed by Dayton Mak in the summer of 1990. Please follow the links to learn more about the days before the departure of the Shah, Iran, or revolutions. But again, I don’t think that was ever put on a piece of paper. These were telephone conversations that Sullivan had with the State Department. But that view was shared in Washington. I k now that Henry Precht, who was the country director for Iran at that time, certainly felt that having missed this window of opportunity when he left Iran initially, that for the Shah to come to the United States before this revolutionary process in Iran had really run its course and there had been a consolidation of authority in Iran would certainly jeopardize what we were trying to do…. 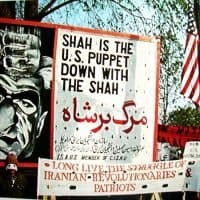 [The American Embassy in Tehran] formulated a response, which was that, yes, at some point, the United States should be prepared to accept the Shah in the United States, but that should not come before the situation in Iran had been clarified, and that a government that really was in charge was in place. That was certainly not the case with the provisional government. At that particular juncture, I do not think that it was yet generally known that the Shah had cancer. 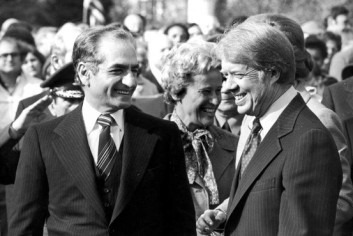 There were a lot of people who were very critical of the Carter administration for the decision to allow the Shah to come to the United States for cancer treatment and not do anything in Tehran other than to ask the government to do what governments are supposed to do in the case of diplomatic missions accredited to them…. Carter was very concerned about that… People were encouraging him to allow the Shah in for health care and he asked them all: “If the Iranians react negatively, if they should seize our State Department officials there and make them hostages, then what is your policy?” The room went dead, if not ashen. Kissinger called me personally, and he called a lot of people personally, saying that not to allow the Shah in was a national disgrace, that America is not a police state, the Iranian radicals are trying to isolate him, but the man is sick and he should be able to come to a hospital that can do something for him. That idea carried the day. I must say, I went along with it at the end because I found it humiliating that these people could press the United States to do something that was really different than the openness that is so essential to our country. But what Carter feared, happened, and really changed our lives, and may have been fundamentally responsible in throwing us out of office. PRECHT: In July 1979, the question of the Shah remained an active one and we were constantly getting letters from congressmen and there were editorials and that sort of thing. The Shah by this time, I think, had reached Mexico. Congressman Steve Solarz (seen right) invited my wife and me to dinner and to go to Wolf Trap one evening to talk about Iran. I described everything that we were doing. ….I drafted a memorandum…in which I said that we had to address this problem in some fashion. The best way to do so was to declare that it was not whether the Shah would come to the United States but when. The when would be dependent on when the American embassy in Tehran had adequate security. 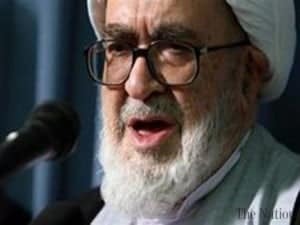 We would plan (my suggestion) on admitting the Shah when the provisional government of Dr. [Mehdi] Bazargan had changed by elections under their new constitution into the definitive government. Khomeini had started such the process for a new government in about six months. When that happened, presumably around January/February 1980, we would see if the security was adequate. If it was, we would tell the Iranians that they now had their government, no longer a provisional arrangement – they were big boys – and both of us need to settle down and make some definite arrangements for the future. 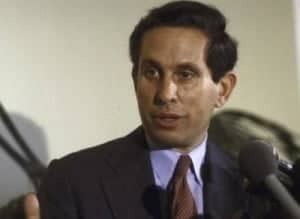 We would tell them we are going to admit the Shah and we expect our embassy to be protected. Embassy security was the key to making the decision on the Shah…. My standard argument was that if you admit the Shah, you do the right thing in human terms, but you have to abandon any hope of reconstructing a political relationship with Iran. It was clear that Carter was trying to meet the obligation to the man and also reconstruct a relationship. There was no mention of closing or reducing the embassy staffing. The Shah was sick, it was said, and he needed treatment in the United States. Carter was in an impossible situation. So, after my customary big mouth objections, they said I should write a memorandum. I went down to my office and got out a long piece of yellow paper and wrote, “If the Shah is admitted to the United States you can anticipate one of the following.” Then I listed all the horrible things I could think of headed by “embassy personnel taken hostage.” I put that in the out box and went home and packed my bag…. He said, “I will fix it up,” and he did…. I went to see Ayatollah Montazeri, Khomeini’s deputy (seen right.) He said how wonderfully pleased he had been when he learned in the Shah’s prison that Carter had been elected because Carter supported human rights and he thought American policy would change. The only thing he deplored was the influence of the Jews in America that made our policy towards Israel so bad in the Muslim world. With [Political Officer] Bruce [Laingen] I visited Ayatollah Beheshti, one of the real powers in the new establishment. He was also cordial. We talked about Iranian exiles coming back. They would be admitted back if they accepted the revolution, he said. There was no mention of the Shah in any of these religious gatherings, no mention at all. So, we relaxed, I guess, in this kind of era of good feeling. But something began to change in the atmosphere. I was there a week or so and then, at the start of the second week, two things happened. One, a group of students seized the Hilton Hotel or the Intercontinental and were going to make it into a hostel for the poor. The striking thing was the government did nothing to get them out. These students were able to have their way until finally somebody talked them out of it and after two or three days they left. But it showed you how weak this provisional government was…. The second thing that happened was, something had gotten under Khomeini’s skin and he made a speech in which he said that everything bad that happens in this country is the fault of the Americans. It was that kind of tone which began to creep into the press that made me uneasy. Over the weekend some of the junior officers said they had never been to the bazaar so I blithely said, “Let’s go down to the bazaar.” It probably was not a smart thing to do. The mood of the bazaaries was not what it had been. There was a kind of resentment that you could sense. When you joked with the people in the shops they didn’t joke back. There was a kind of ill feeling towards us – obvious Americans that we were. LAINGEN: It was on October 23, 1979 that, at breakfast in the Residence, I got a call from the Marine guard in the Embassy telling me that there was a NIACT [an urgent cable from the State Department] message that I had to see urgently. I asked him to bring it over to the Residence on the compound. So a Marine brought it over to me. That was a message informing me that the Shah was about to be admitted to the United States for medical treatment and that I should inform the government at the highest level that we were taking this step for humanitarian reasons. It spelled out in some detail where he was going to go, what our understanding was of his medical condition, that this in no way should be seen as an attempt by the United States to undermine the position of the provisional government of the revolution, with which I was dealing. It came as a bit of a shock to all of us in the Embassy and, of course, triggered immediately steps that we were prepared to take to strengthen our security, and these were taken. 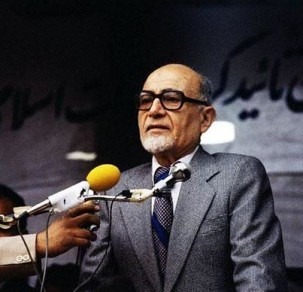 My first responsibility beyond that was to get to the highest level of government and that was the sitting Prime Minister at that time, Mr. Bazargan. As I recall, Henry Precht was in the city on a visit. We got, within a couple of hours, an appointment with the Prime Minister, Mr. Bazargan, who received us in his office along with the Foreign Minister, Mr. Yazdi, and a number of other officials including, I think, the Acting Defense Minister. I communicated this information pursuant to those instructions with particular emphasis on our feeling that we had a responsibility in humanitarian terms to provide this kind of medical treatment to the Shah and that the Empress would be accompanying him. I did not receive in the instructions at that time how long we expected him to be there and I simply did not discuss with them or communicate to the Prime Minister any views as to how long this might entail…. The Prime Minister (seen right), and even more the Foreign Minister, expressed their concern. The Foreign Minister reminded me several times during that conversation that this was a very serious step that could have some very difficult consequences and that he had warned me against this kind of thing. He, in particular, pressed for participation in the medical diagnosis by Iranian designated doctors–that they be permitted to send a doctor to the United States to participate. I couldn’t give them assurance of that, although I communicated that to Washington. In response to that, all the Department was prepared to do was to assure Yazdi and his government that we would inform them of the diagnosis by medical doctors in the United States. I was instructed as well to get — and obviously requested — assurances from the Prime Minister that the Embassy would be provided adequate security in the event that there would be demonstrations on the streets stimulated by this decision on our part. After some considerable discussion of that, the Prime Minister said some rather fateful words that didn’t seem as fateful at the time, that they would do their best to provide security. He didn’t say, “We guarantee you that your Embassy will be secure.” He said simply, “We will do our best.” And, I think, he meant that. I have no doubt that Bazargan meant what he said, that he wanted to do what he could to assure that the Embassy was secure. But, of course, time would demonstrate that it was not secure and that he was not able to do his best. ATHERTON: The Carter administration was being pressed very hard to give asylum to the Shah of Iran, who by that time had been overthrown and was being sent around to Panama and various other places looking for a permanent home, and, although we didn’t know it at the time, fatally ill with cancer… He had had it for some time, but it was a very well-kept secret for a long time…. Carter was hesitating, because this would complicate our relations with the new revolutionary government in Iran….I said if the Shah is admitted to the States, I’m afraid that we ought to evacuate all of our people from Tehran first, because I’m afraid that there will be those who will see them as potential hostages, used as a bargaining lever to press us to turn the Shah over to revolutionary justice. What they wanted most was to get the Shah back in Iran where they could try him for crimes against the people of Iran. 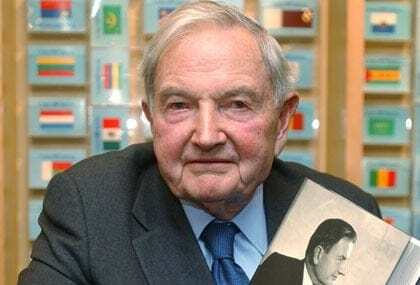 ….Both David Rockefeller and Henry Kissinger said they thought it was unconscionable of the Carter administration not to show more gratitude towards this man who had been our friend for so long and let him into the States and give him asylum… I had a consultation with [Rockefeller] because he was then chairman of the board of the Chase Bank, and Chase Bank was very big in Egypt. 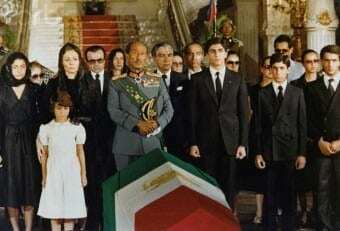 He was a strong supporter of the Shah. Chase Bank had the Shah’s account, among other things. And he was given, in effect, the hospitality of Egypt by President Sadat, who welcomed him and his family and supporters, and made available to them one of the old royal palaces of Cairo so that they could live in royal style that was befitting the shah and his family. And it was not too long after that that the shah died. There was a very impressive state funeral. He was to be buried, or his body interred, at one of the old mosques in Cairo, the one that had been originally built during the Shiite period in Cairo and so therefore had some associations with the Shiite branch of Islam, to which, of course, Iranians belong. Many dignitaries and some heads of government came to the affair. There was a policy argument about whether or not I should go, representing the United States Government. We were in a very delicate situation vis-à-vis the revolutionary government in Iran and there was concern in Washington it might complicate our efforts to see whether or not ways could be found to get the hostages out of Iran if I went as the president’s representative to the shah’s funeral…. I sent Washington a message that I thought I would be conspicuous by my absence among all of, at least, the western ambassadors in Cairo, if I didn’t go. While I could understand the sensitivity vis-à-vis the Iranian regime, we didn’t seem to be having much luck with them anyway, but we did have a certain amount at stake in our relationship with Egypt. And it would be misunderstood by Sadat, who had given asylum to the shah, if the U.S. ambassador wasn’t there for the last rites, to pay the last respects to this man who had been such a strong friend and supporter all his life of the United States. So the decision was that I would, in fact, go to the funeral.